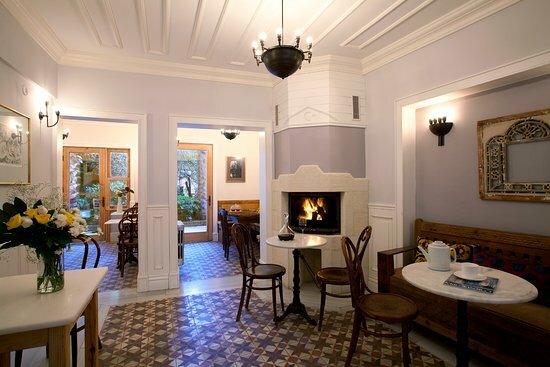 Hotel Empress Zoe is located in İstanbul, 300 metres from Hagia Sophia and has a garden. Built in 1956, the property is within 600 metres of Hagia Irene, Blue Mosque and Istanbul Archaeological Museum. Local points of interest like Topkapi Palace and Column of Constantine are reachable within 700 metres and 900 metres, respectively. The units include air conditioning, a seating area, a flat-screen TV with satellite channels, a kitchenette, a dining area and a private bathroom with a shower. The rooms are equipped with a kettle, while selected rooms are fitted with a terrace and others also have sea views. At the hotel the rooms have bed linen and towels. A buffet breakfast is served each morning at the property. Hotel Empress Zoe offers a terrace. Nonstop assistance is available at the reception, where staff speak English and Turkish. Popular points of interest near the accommodation include Grand Bazaar, Spice Bazaar and Suleymaniye Mosque. Istanbul Ataturk Airport is 14 km away.